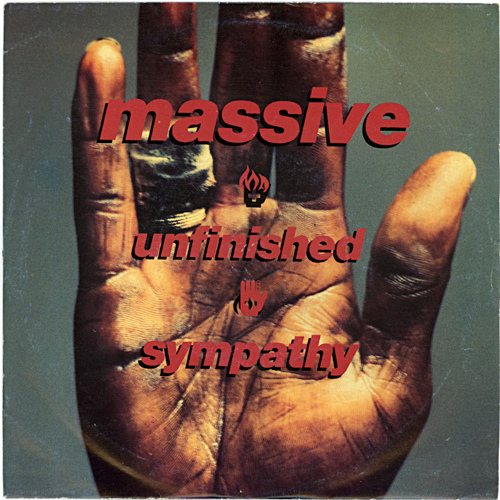 10 Reasons to love: Massive Attack, Unfinished Sympathy – music waffle. If you can’t think of ten reasons, you don’t really love it. 1) The song opens with some milk bottle tapping percussion topped with the minor chords that gets the goosebumps rising. It’s all a bit sinister. 2) Soon the strings swoop in, and it’s the mix of genres and sounds that makes this a ground breaking listen. Orchestral hip hop with judicially used scratching and voice samples. 3) “I know that I’ve been mad love before” suggests something different to being madly in love. The contrast between the verb and the adverb. One is describing the way you do something, one is you being it in a much more powerful way. *Edit* It’s “I know that I’ve imagined love before.” Which changes this point completely – Oops! 4) The line “The curiousness of your potential kiss, has got my mind and body aching” It’s a very passionate song. 6) At 2:10 we hear the frustrated vocal wail of the lovelorn. 7) The video is one continuous shot, as the camera follows singer Shara Nelson wandering in a daze like state through a street in Los Angeles. I wonder how many takes it took – so easy for the cameraman to walk into a lamp post or back into an unexpected Biffa bin lurking outside a shop. 8) The woman is clearly in love – it’s all in the trudge, the deep sighs, the glances to the heavens and closed eyes. 9) Towards the end of the song the violins and cello come to the fore and it feels far more like a classical symphony. It’s nice in any track to hear the music breath and have it’s time. 10) I’ve never met anyone who thinks that this is anything other than a top class track. Not many songs get such universal approval. Previous Book Review: Morrissey, Autobiography. Wow – well said. I just noticed your site. I think I am going to enjoy browsing through it!